Would you like to opt for advance EMI ? 1. Terms & Conditions apply. Price of the car model mentioned is indicative & may vary at the time of purchase. 2. EMI calculated is for reference purpose only & may vary at the time of disbursal. 3. Finance at sole discretion of financier. 4. The use of any information set out is entirely at the User's own risk. The User should exercise due care and caution (including, if necessary, obtaining advice of tax/ legal/ accounting/ financial/ other professionals) prior to taking of any decision, acting or omitting to act, on the basis of the information contained / data generated herein. 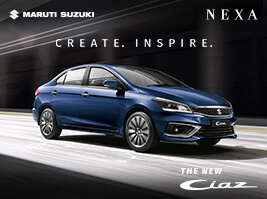 Maruti Suzuki does not undertake any liability or responsibility to update any data. 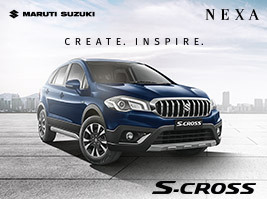 No claim (whether in contract, tort (including negligence) or otherwise) shall arise out of or in connection with the services against Maruti Suzuki. Neither Maruti Suzuki nor any of its agents or licensors or group companies shall be liable to user/ any third party, for any direct, indirect, incidental, special or consequential loss or damages (including, without limitation, for loss of profit, business opportunity or loss of goodwill) whatsoever, whether in contract, tort, misrepresentation or otherwise arising from the use of these tools/ information contained / data generated herein. Nothing contained herein shall amount to an offer, invitation, advertisement, promotion or sponsor of any product or services of Maruti Suzuki/third party and is not intended to create any rights or obligations. 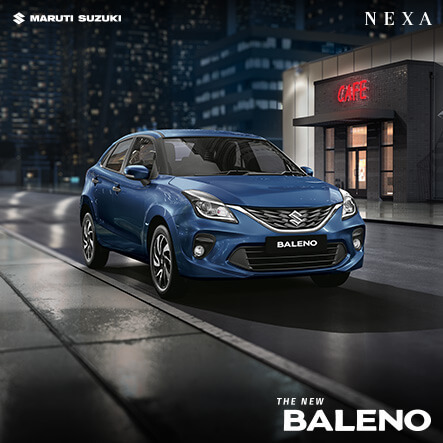 The use of this information is subject to the terms and conditions governing such products, services and offers as referred herein above and specified by Maruti Suzuki/third party from time to time and applicable laws. The information contained / data generated herein may be subject to change, updation, revision, verification and amendment without notice and such information/data generated may change materially. The User cannot distribute, modify, transmit, reuse, report, or use the contents available for public or commercial purposes, including the text without Maruti Suzuki's written permission. The information and/ or intellectual property contained herein is strictly confidential, meant solely for the selected recipient, and may not be altered in any way, nor transmitted copied or distributed in part or in whole to any other person or to the media, or reproduced in any form without prior written consent of Maruti Suzuki or the relevant owner of the intellectual property as the case may be. "Maruti Suzuki " logos are the trademark and property of Maruti Suzuki India Limited.